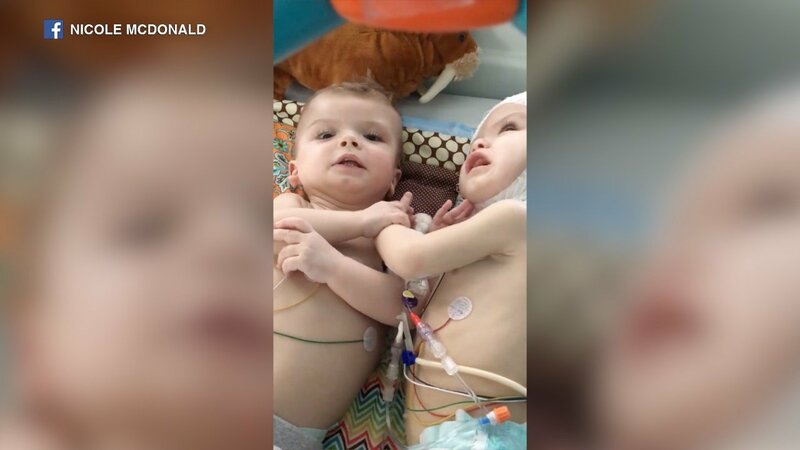 NEW YORK -- Twin boys who were born conjoined at the head and separated earlier this fall at a New York City hospital appear to be recovering nicely. It took doctors in New York 27 hours to separate Jadon and Anias McDonald. Many people watched their mother's Facebook page for updates as she and her husband waited for their boys to return to them. Nicole McDonald posted a video on Facebook late Tuesday night, showing how far Jadon and Anias have come.